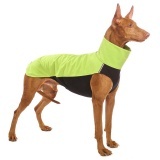 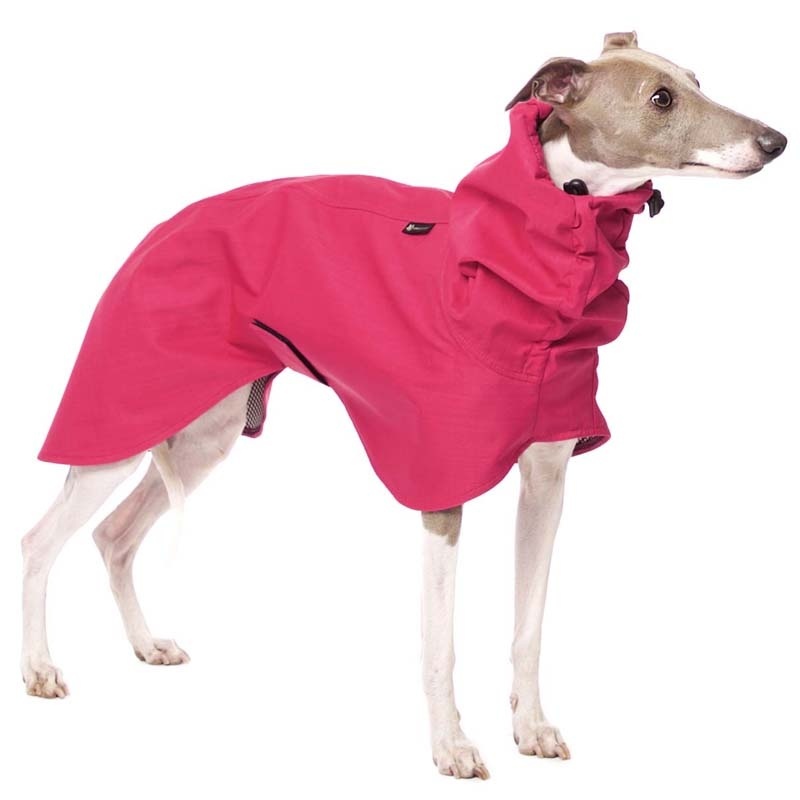 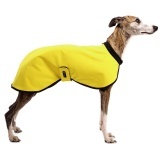 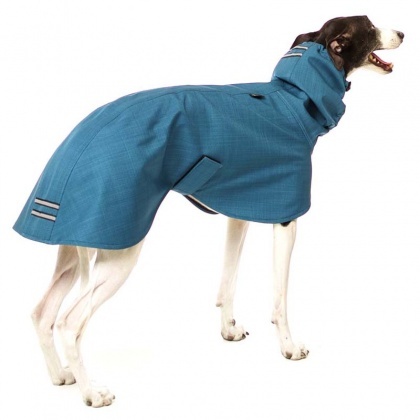 Fashionable and practical coat made of light softshell, suitable for even warmer weather. 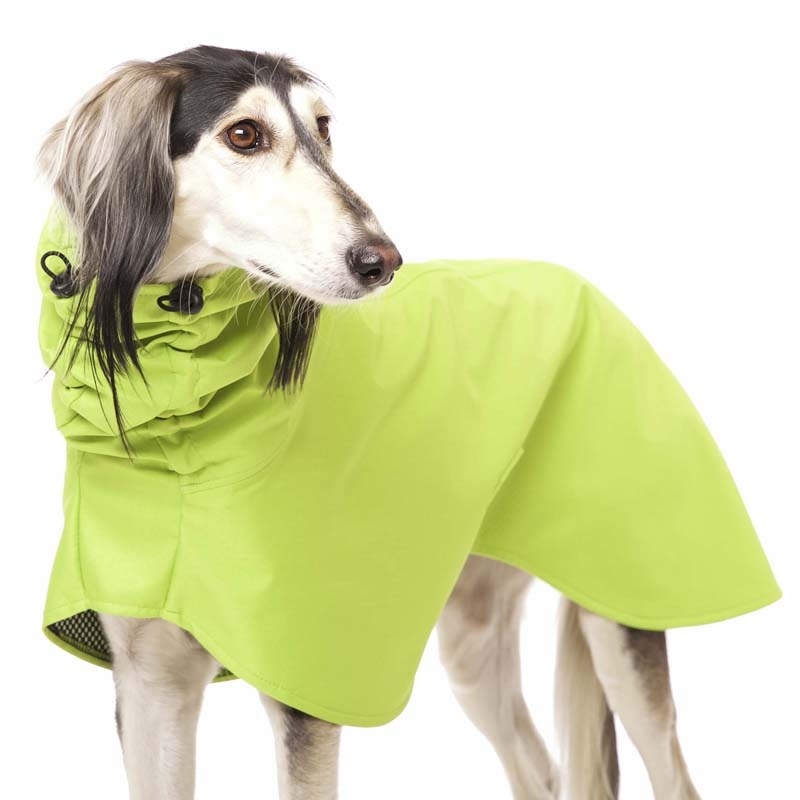 High standard of weatherproof is provided by the membrane with the water column 10.000 mm. 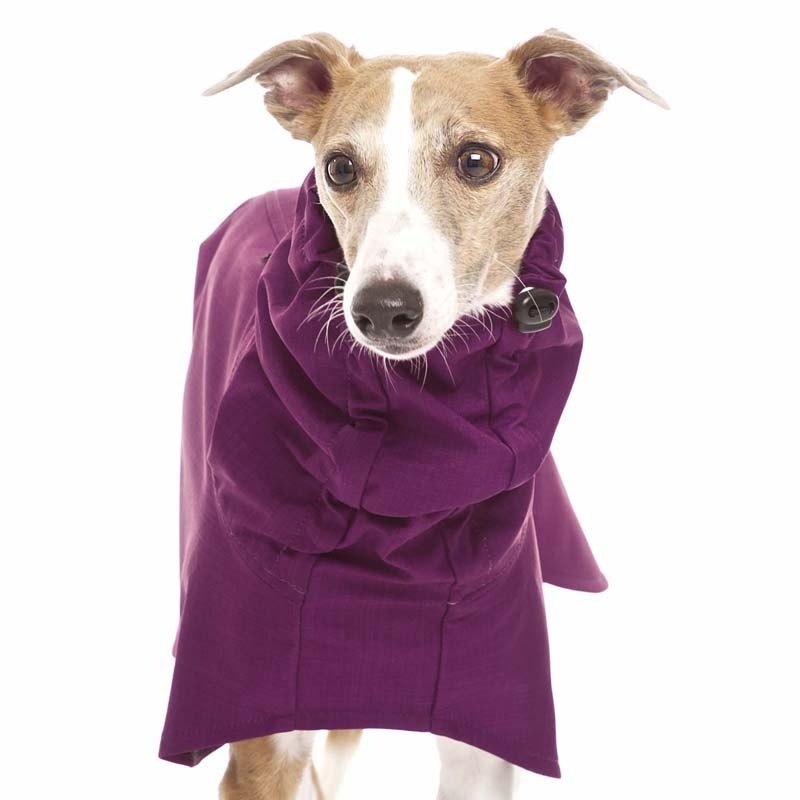 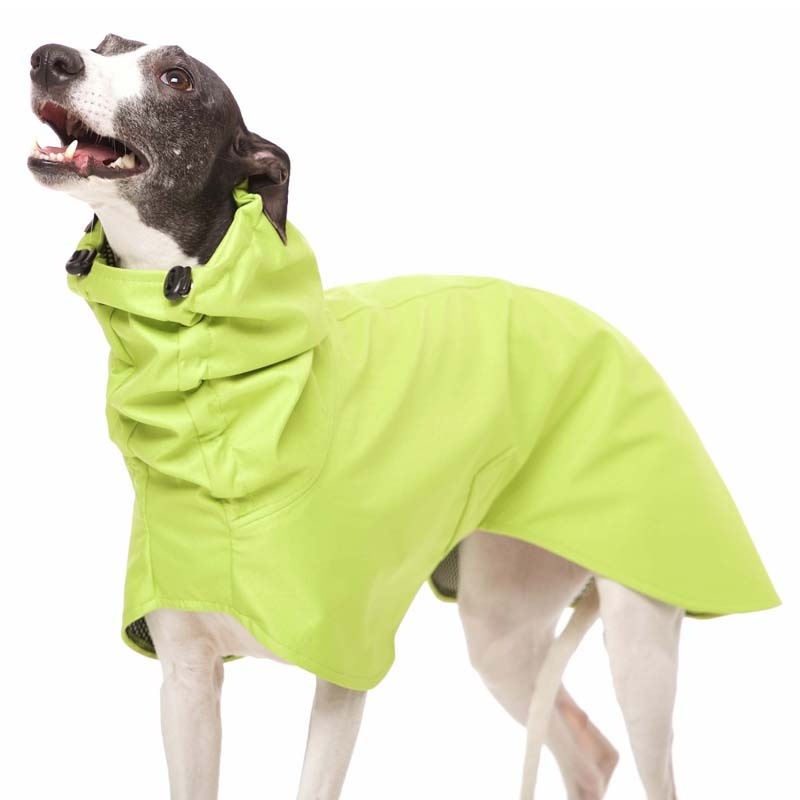 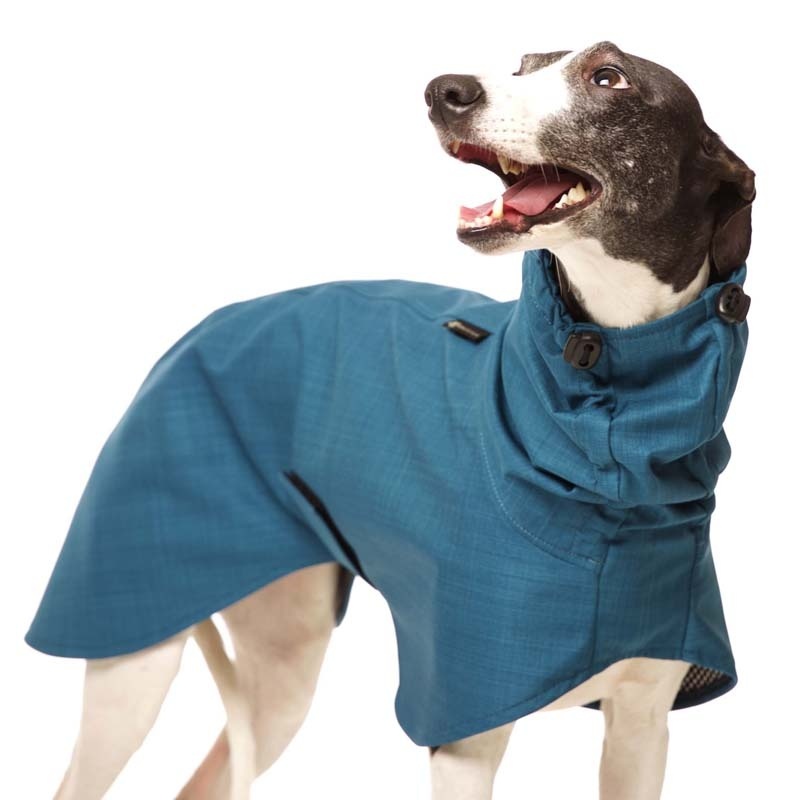 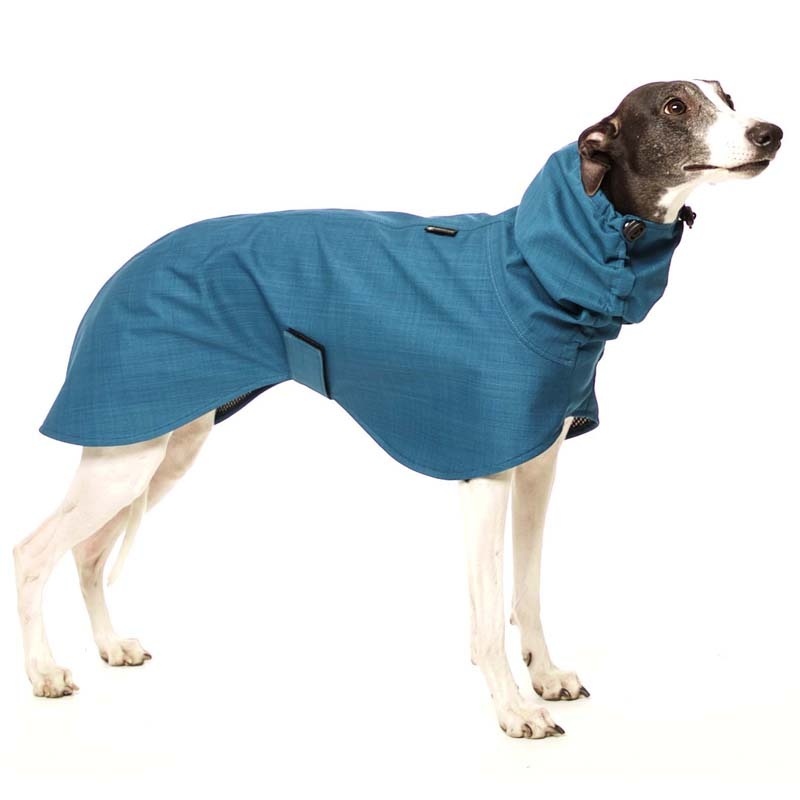 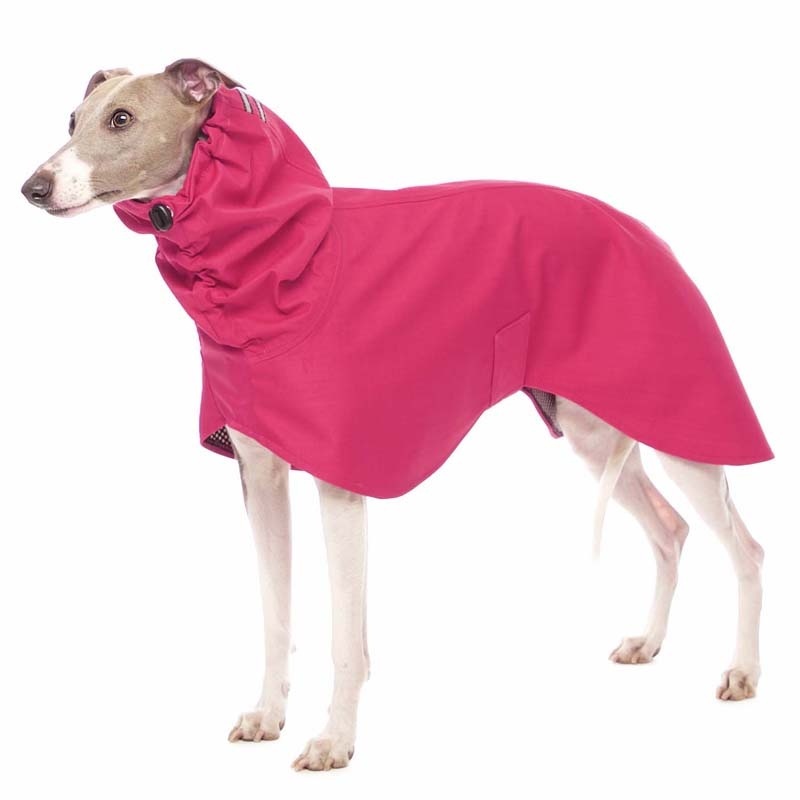 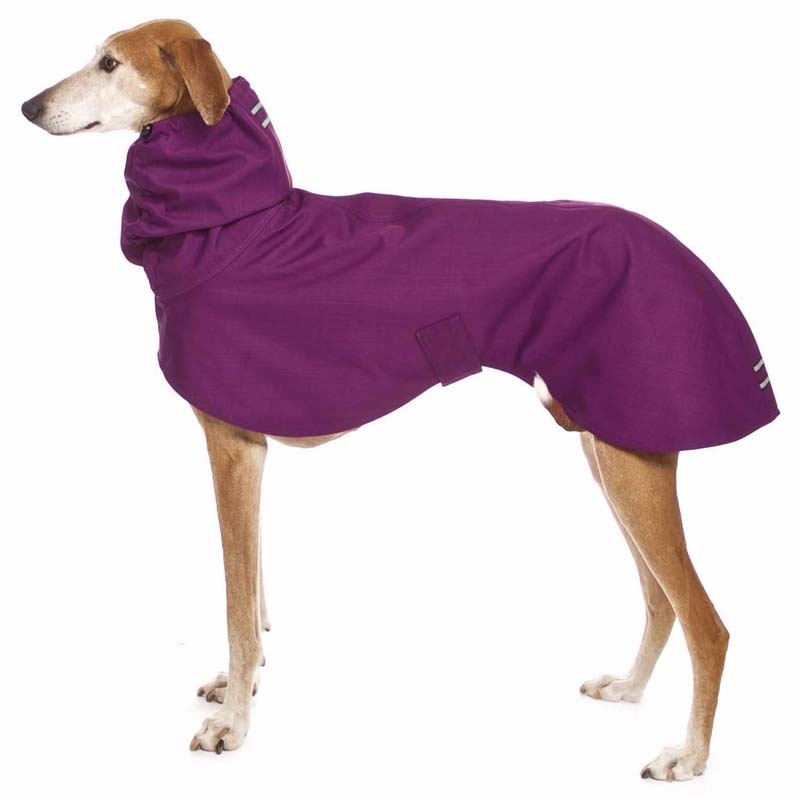 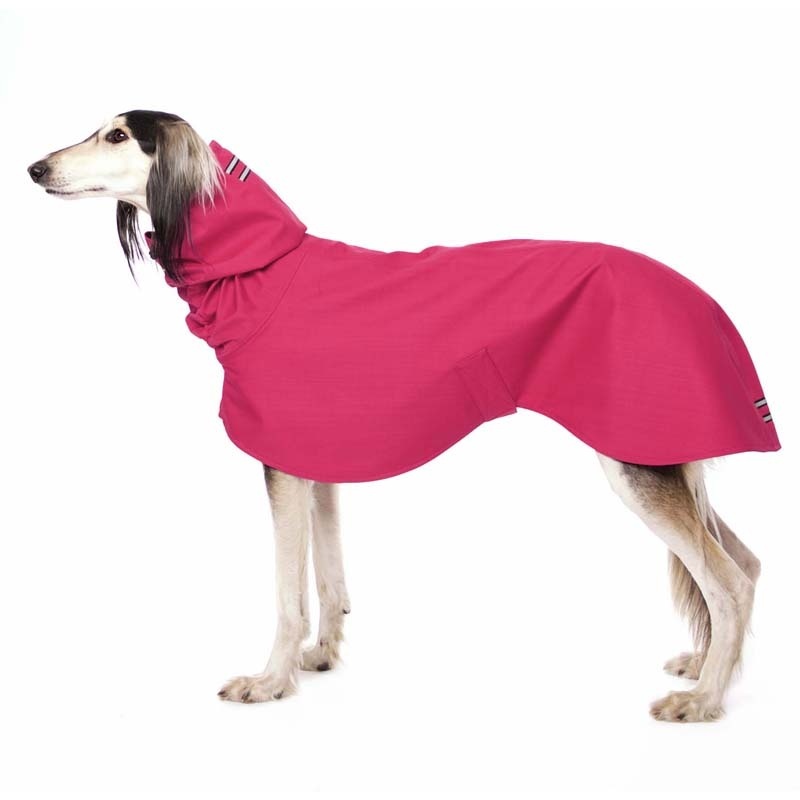 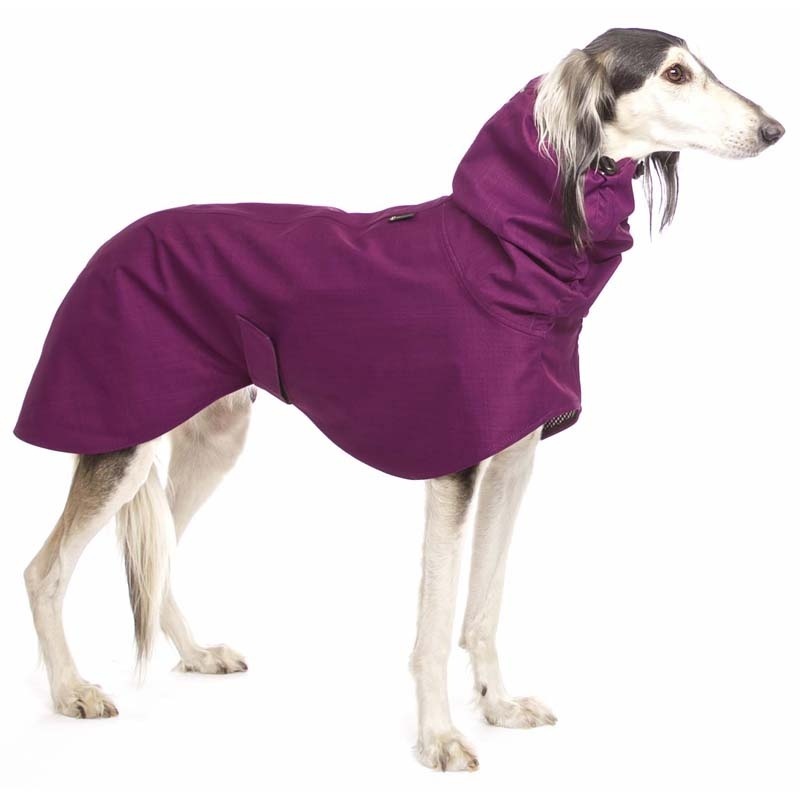 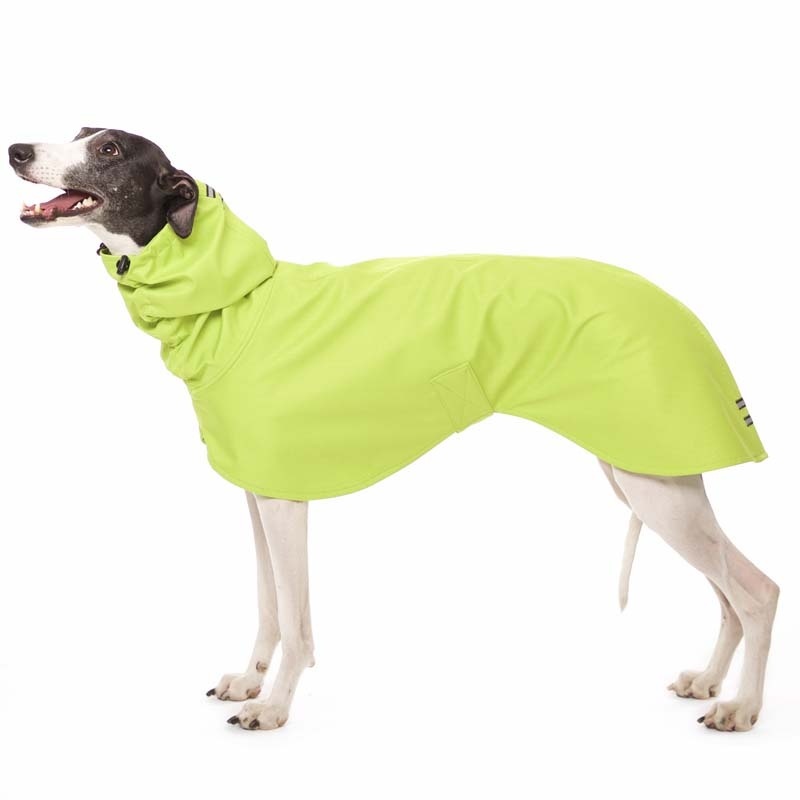 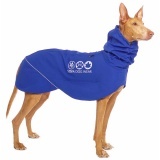 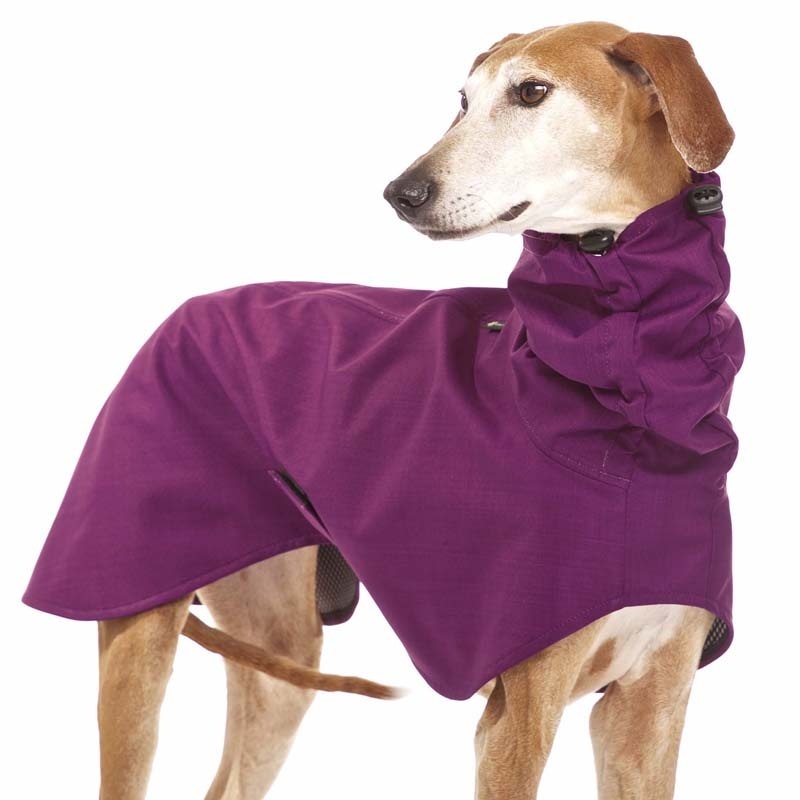 The long hood with cut for the leash protects the neck of your greyhound. 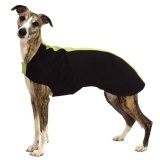 Simple velcro closure under the belly. 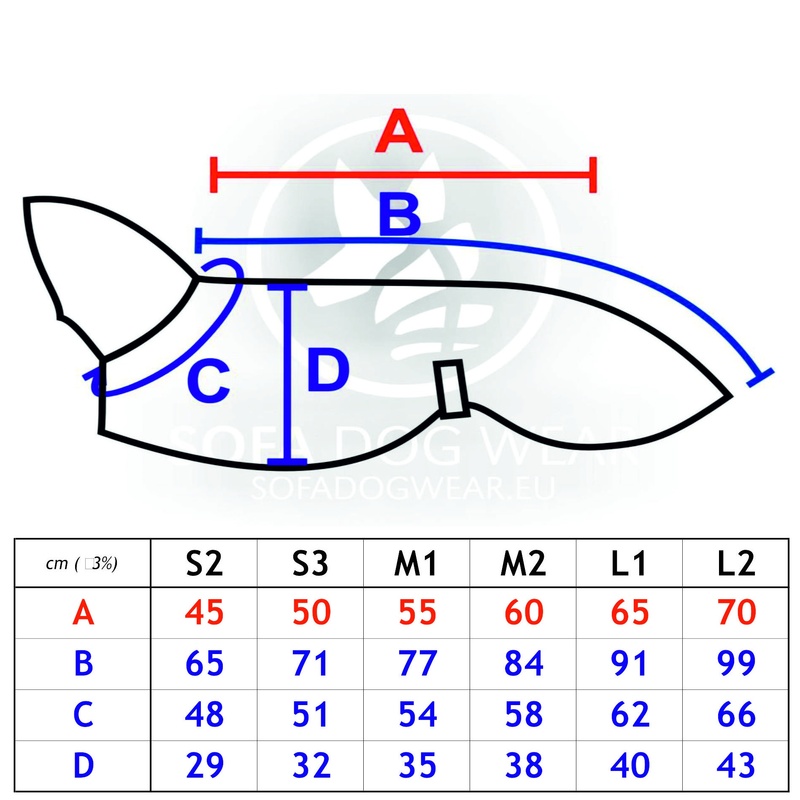 Decent reflective elements. 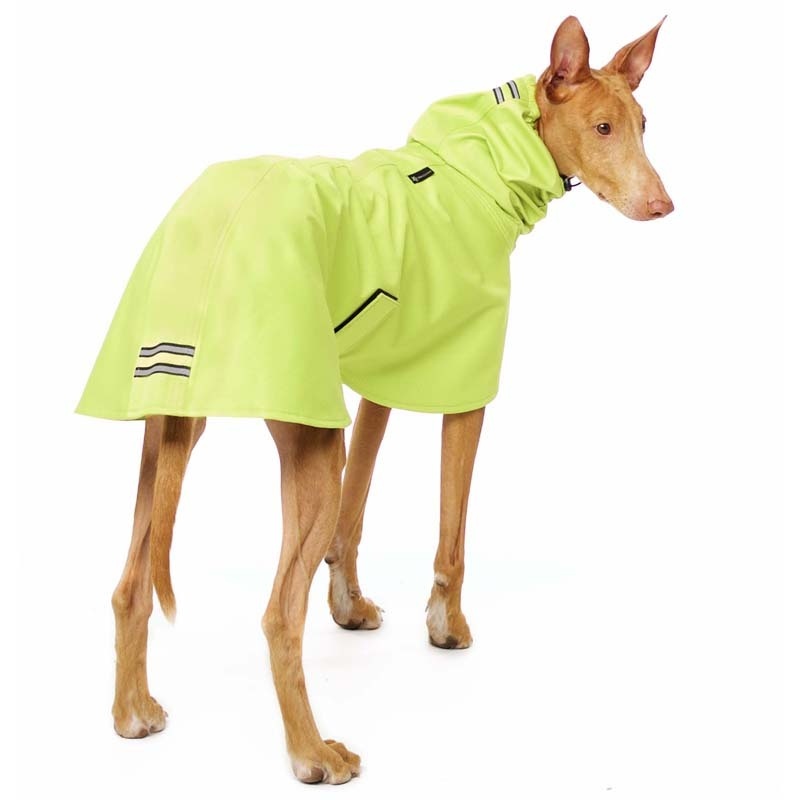 Waterproof equivalents to the water column. 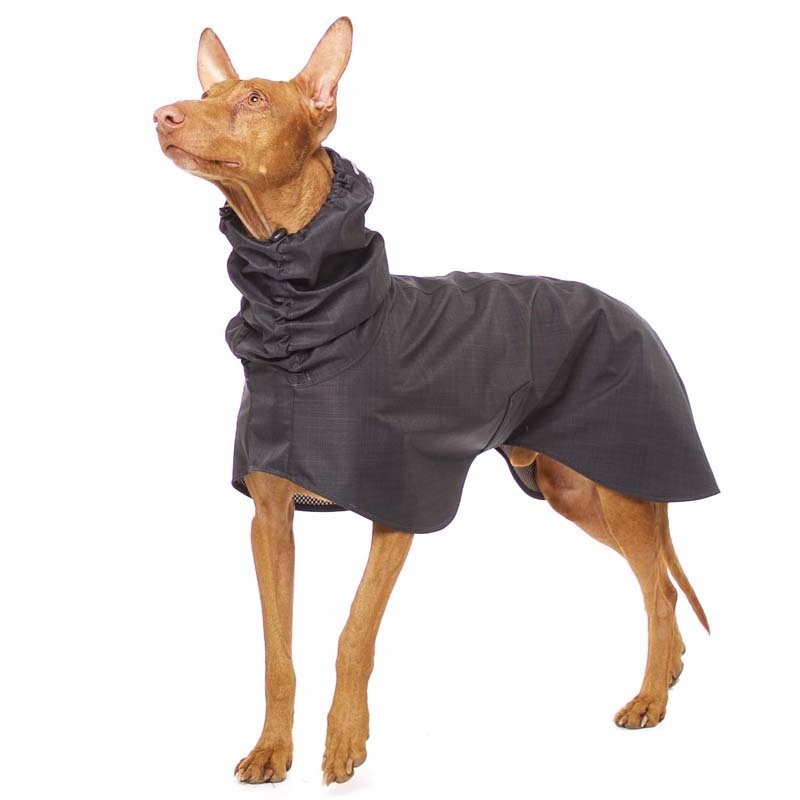 The addition of bamboo fiber makes the material pleasant to touch and makes the drying out faster.